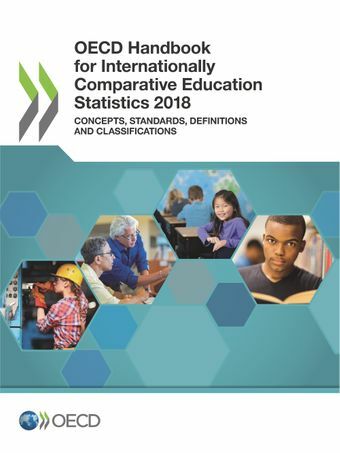 For well over two decades, the OECD has developed and published a broad range of comparative indicators published yearly in the flagship publication Education at a Glance. These provide insights into the functioning of education systems, such as the participation and progress through education, the human and financial resources invested, and the economic and social outcomes associated with educational attainment. Through the set of harmonised indicators and definitions, they enable countries to view their education system in the light of other countries’ performance, practices and resources.Fundamental to the credibility and understanding of these comparisons are the concepts, definitions, classifications and methodologies that have been developed over the years to underpin the statistics and indicators. This Handbook draws these methodologies together in a single reference volume, complementing and providing an invaluable aid to users of Education at a Glance. In doing so, the Handbook aims to facilitate a greater understanding of the education statistics and indicators produced and so allow for their more effective use in policy analysis. Equally, it provides a ready reference of international standards and conventions for others to follow in the collection and assimilation of educational data.This edition updates the OECD Handbook for Internationally Comparative Education Statistics, last published in 2017.